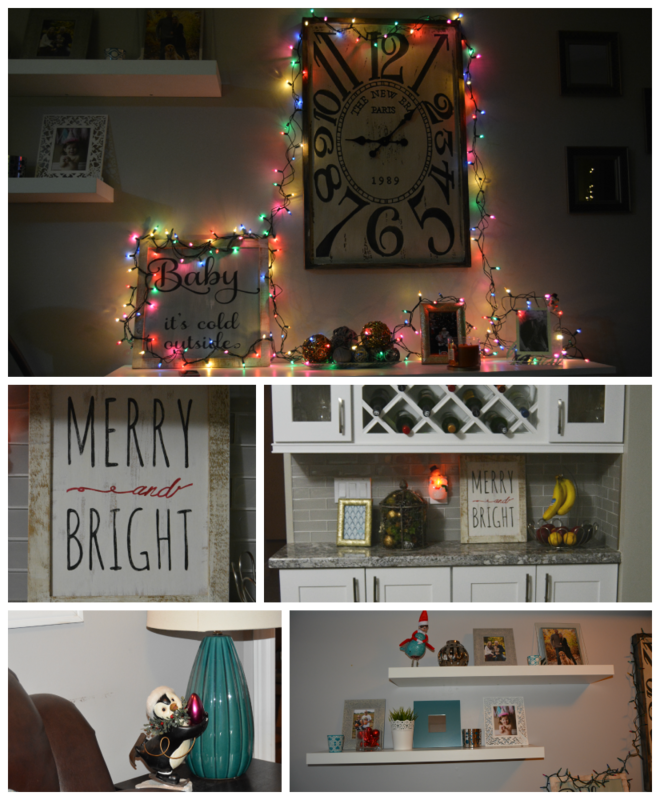 Today my friends and I at The Blended Blog are doing a Holiday Home Tour Blog Hop! 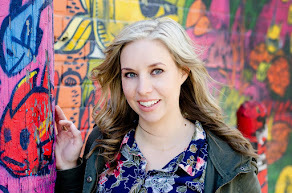 **you may already know that if you've hopped on over from Katie's blog** However you managed to get here, thanks for stopping by! Front door is where it starts. I really need to get a nicer wreath or maybe become one of those 'Pinterest moms' and make one. Ya, right. I'm actually laughing at the thought of that. We have little characters throughout the house. 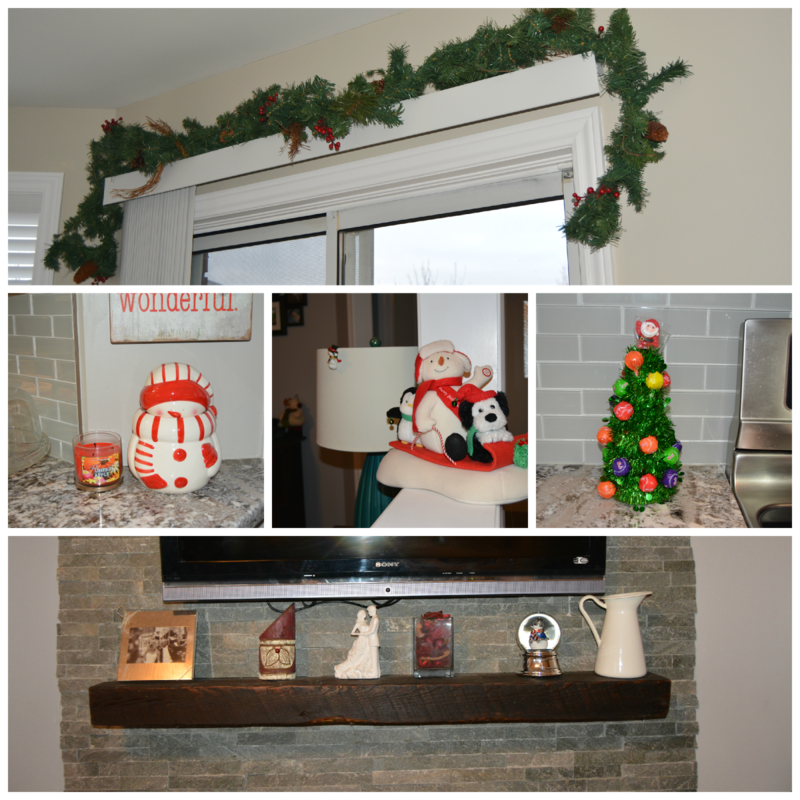 I prefer more classic decorations but let's be serious, the kids love it and they're kinda cute. Notice we even throw a little festive penguin in the powder room. Oh ya. Garland over the back door... kinda random and would look much better with some pretty lights. 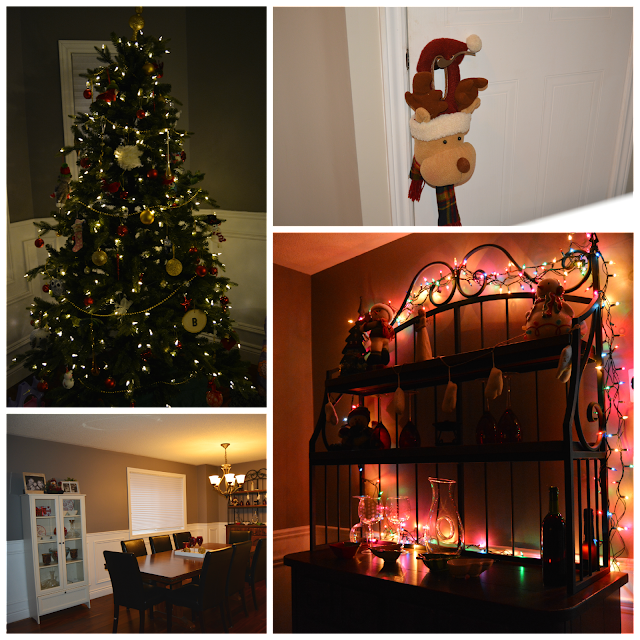 When in doubt, add lights. Cookie jar? Check! Holiday candle? Check! Snowmen everywhere? Check!! My aunt made mini-me an advent tree with suckers on it (no, she does NOT get one every day - I'm mean like that). Why? I have the one child in the world that doesn't like chocolate. Don't ask, she didn't get that from me. Snowglobe was a gift to Annabelle from my mom on her first Christmas. *that log santa was made by the same woman who made my signs below (link below). Isn't he cute?! What do you do with extra Christmas lights? Throw them over random stuff! Do you love my "Baby it's Cold Outside" and "Merry and Bright" signs? I ADORE them!! Just got them from this wonderful (and talented) woman locally (Woodworks by Mary). I can't wait for next year to order some more pretty handmade pieces. There's our elf on the shelf, Mr. Jingles, crazy little guy. He's also quite lazy, thankfully mini-me is pretty forgiving if he hasn't moved. I have explained that he sometimes likes a spot so much he comes back to it (ya, I'm good). Our beautiful (fake) tree. We I like to keep it traditional with reds and golds. Our dining room is filled with red accents, including wine glasses, and some pretty lights where we serve ourselves guest wine. There you have it. You may have noticed you didn't get views of entire rooms. I live with a toddler and infant sooooo I figured I'd save you the barrage of toys etc. You're welcome. 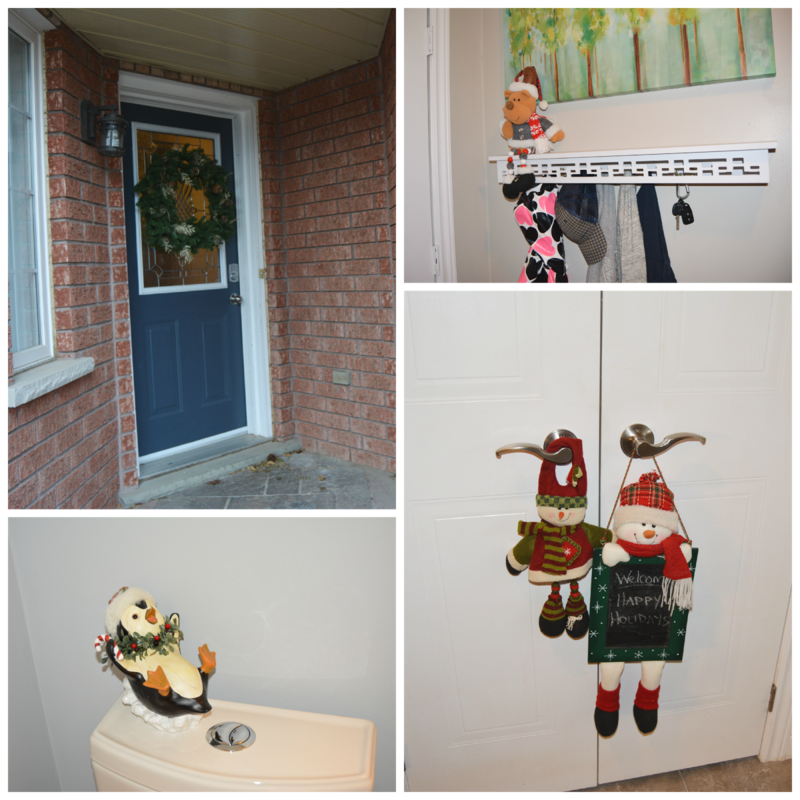 Next up on the The Blended Blog's Holiday Home Tour is Leslie @ Once Upon A Time Happily Ever After. Happy home-touring!